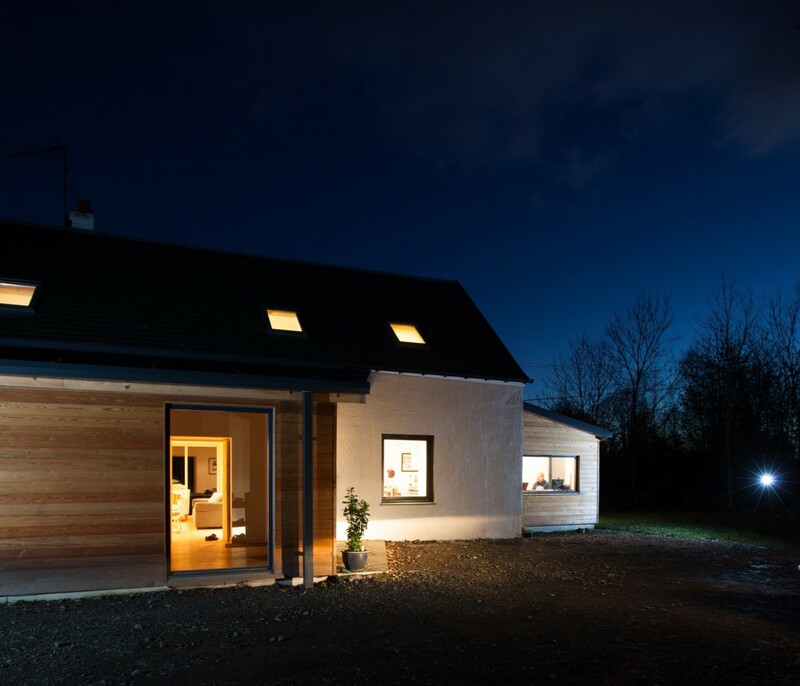 This project was an interesting one, where by entirely redeveloping the interior of the house and adding two contemporary Scottish ground floor extensions we were able to greatly enhance the flow of the house and bring light in. 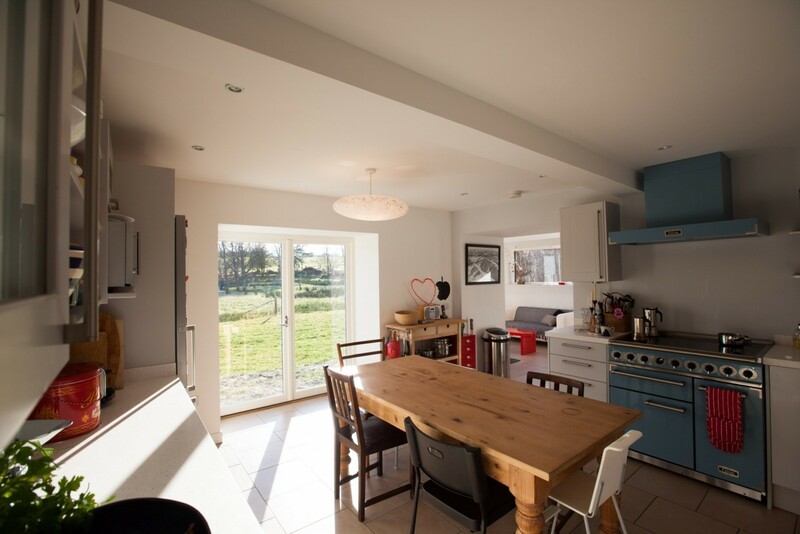 The aim was to provide a contemporary home that functioned better and provided a larger, flexible space for three young boys and their parents. 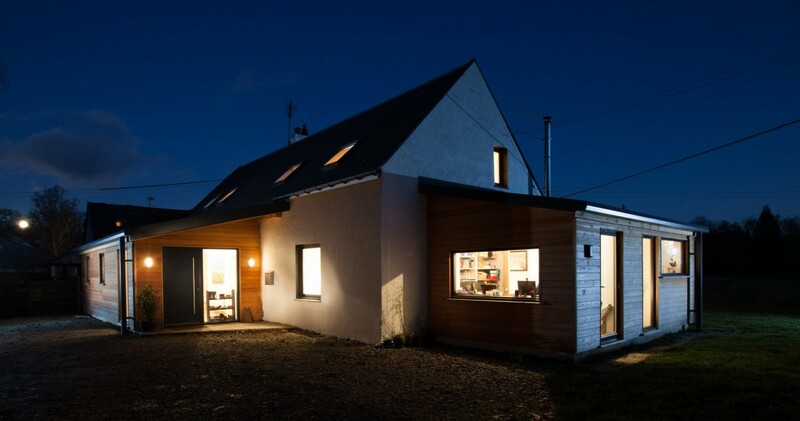 We proposed three concept ideas and the one which was finally chosen followed the simple strategy of removing unnecessary additions from the past such as a small porch, returning the building back to its original simple rectangular form externally. 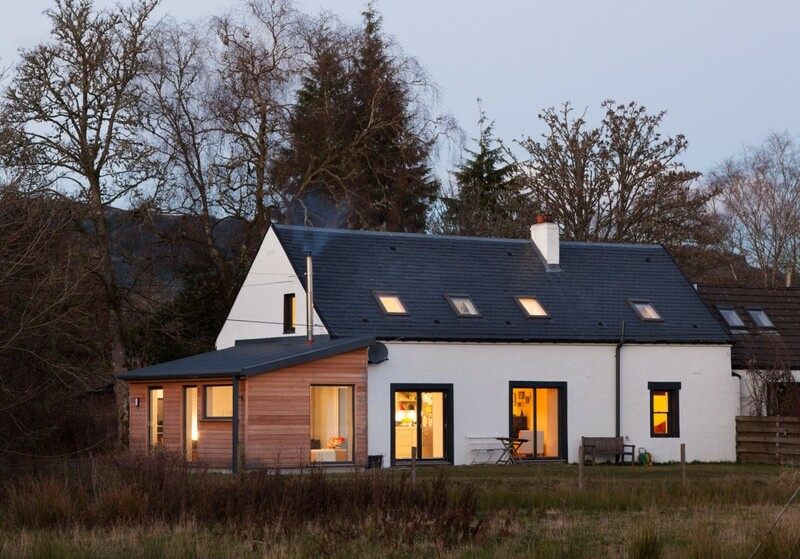 We then added accommodation to the ground floor only where more space was definitely required in the form of two simple lean-to structures, with plenty of large-scale glazing flooding light into what had been a dark cottage. The inclusion of a new staircase meant an additional bedroom could be slotted in upstairs. 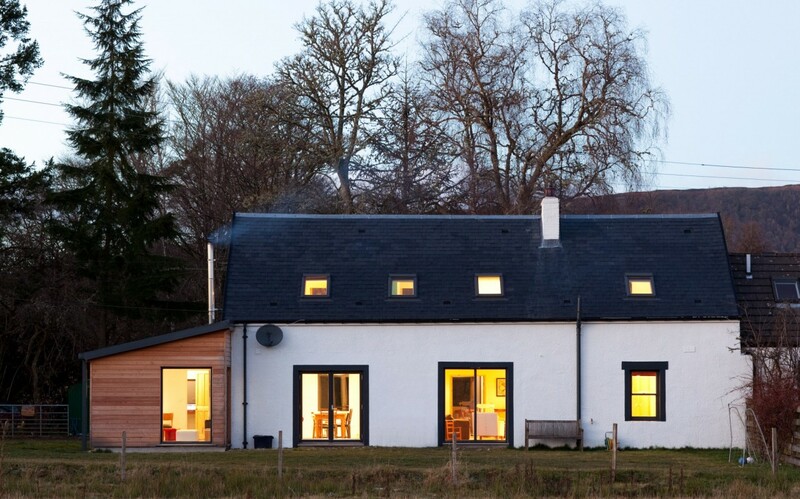 Our clients rightly decided to reroof the building in traditional natural slate to replace the concrete tiles which added immeasurable quality to the look of the house externally. 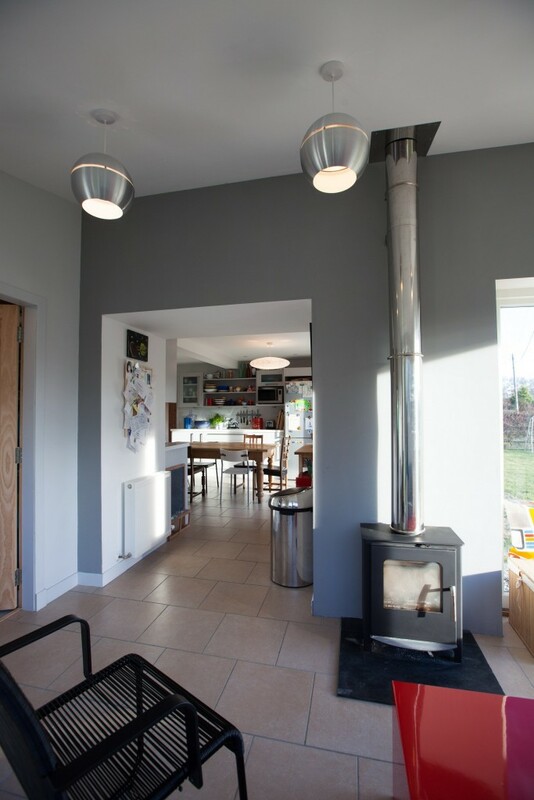 The new extensions accommodate a spacious hall with storage, cloaks and utility, small family sitting room annexed off the new expanded kitchen complete with separate sitting area, wood burning stove and an office for two. 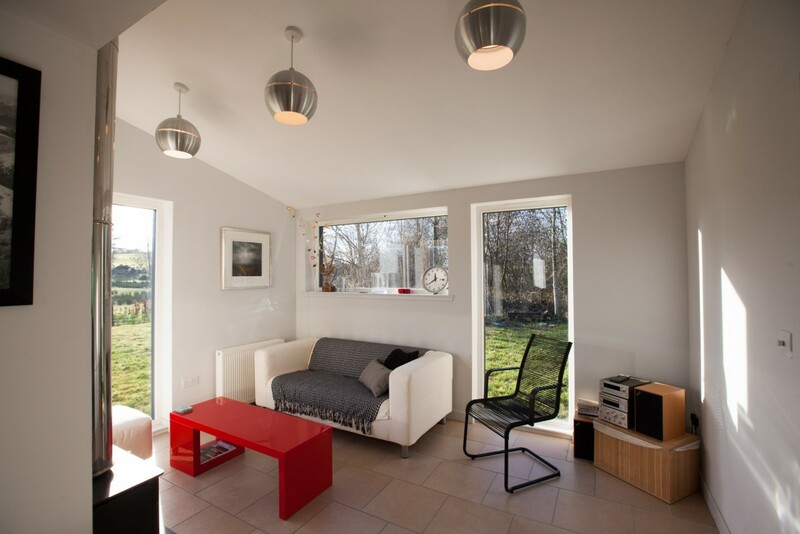 The project has hugely improved the living arrangements of the clients, giving them flexible, warm, light-filled contemporary-style living areas, and a bedroom each for the children. 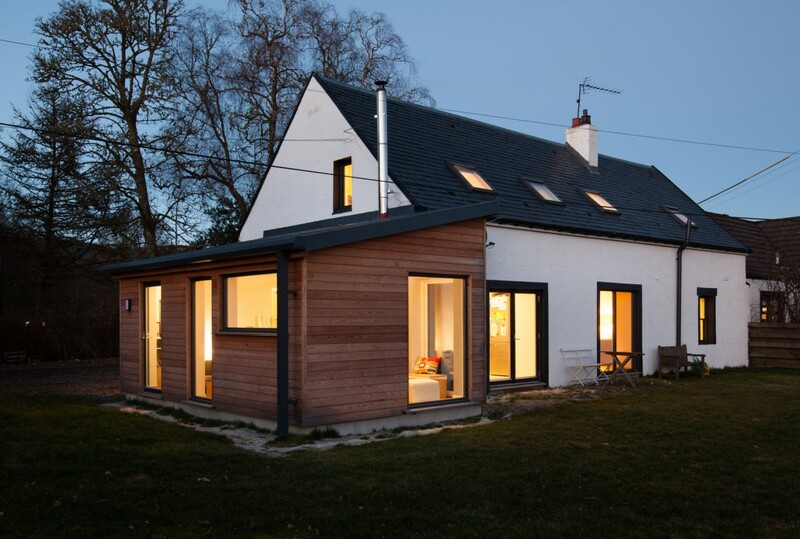 The choice of larch timber on the new extensions was how we chose to differentiate between the old cottage and the new additions and also fits in with other local architecture on the rural estate in which the cottage sits.